According to recent reports, Americans are staying put in their homes rather than moving. Nowhere is this trend more apparent than in Seattle, where high housing prices and low inventory make the thought of upgrading to a larger home unappealing to most homeowners. That's led many growing families to start exploring the possibility of adding on to their home. But a second story addition can be prohibitively expensive for many. Luckily, there is a way to save about 50% on the cost of building an addition. Read on to find out the secret. See also: What Does a Remodel Cost? When people call us asking about second story additions, my first question is always, "Do you have a basement?" That's because truly fabulous additional living space can be created on the lower level of most homes at a cost that's less than half of building up. 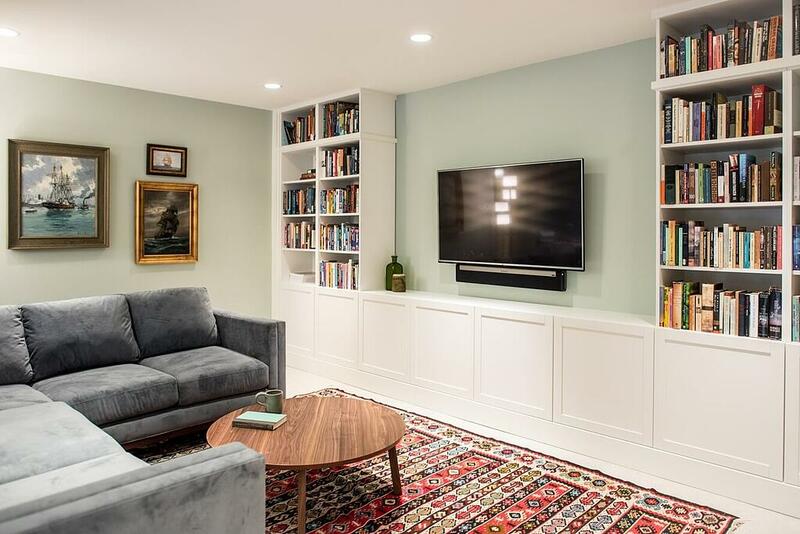 Not only are basement renovations usually the most cost-effective way to add square footage to your home, they have some other surprising benefits as well. Use of space: By working with an experienced designer, you can positively transform your dark, dank basement into a natural extension of your home, with loads of natural light, high ceilings, and lots of character. You can move your master bedroom, guest bedrooms, kids' bedrooms, an office, den, or family living space to the basement, potentially freeing up upstairs space for other uses, like expanding and opening up your kitchen. In our old Seattle homes, rooms were small and divided, and basements were just used for storage and the heating system. That all can change. Check out these amazing basement projects we've completed. Less invasive: Second-story additions are great, but the roof has to come off, walls need to be opened, and the framing needs to be beefed up to support the new floor. You'll have to move out for a good portion of the remodel. Basements, on the other hand, can be self-contained. You'll be able to stay in your house throughout the remodel. Faster: Because basements tend to require less intensive engineering, the design process can go much quicker. Construction tends to be faster, too, because the foundation and walls have already been built. Simpler permits: Second story additions require a full permit review, which costs extra and takes more time. Basement remodel permitting simply goes faster and costs less. Obviously, every home is different, and every family's needs are unique, but renovating your basement may be the perfect way to add much-needed space. If you'd like to discuss your options or get a rough project cost estimate, I'm happy to help. Feel free to get in touch!